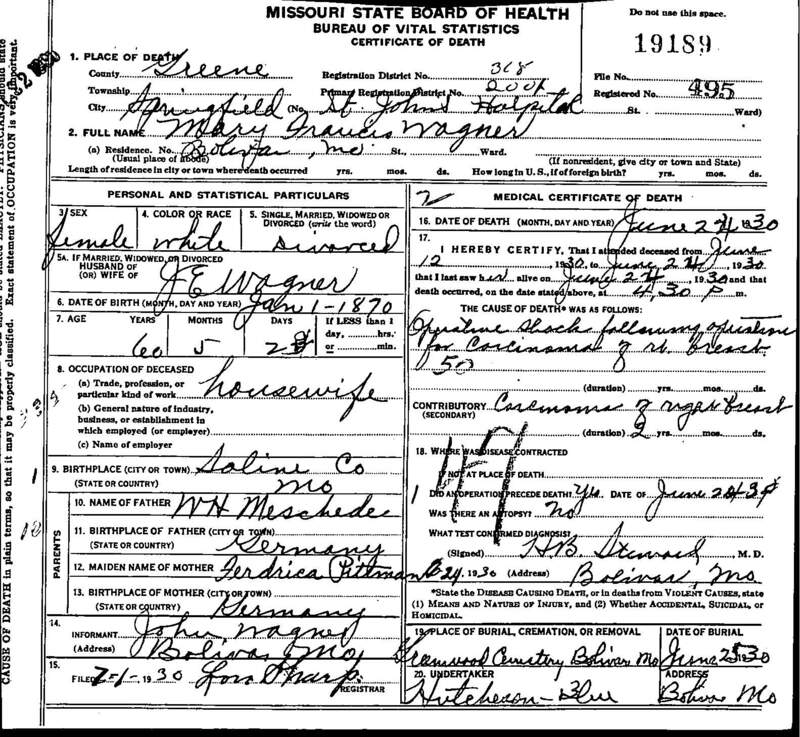 "Death Record - Mary "Maria" Fraciels Meschede"
Birth location: near Malta Bend, Laynesville, Saline County, Missouri. Cause of death: Operative shock following operation for carcinoma of right breast. Death location: St. John's Hospital, Springfield, Greene County, Missouri. Burial location: Greanwood Cemetery, Bolivar, Polk County, Missouri.